For years, one hardhat-wearing handyman has been asking the same question: Can we fix it? 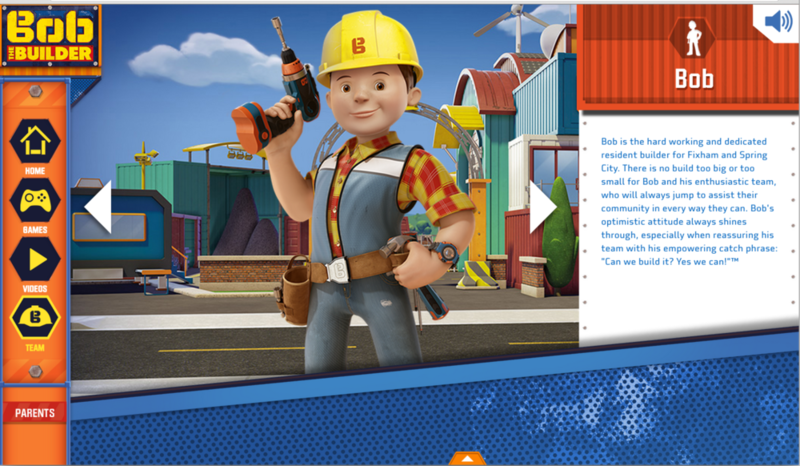 By partnering with FableVision Studios to design the Bob the Builder website, Mattel found the answer was easy: Yes we can! 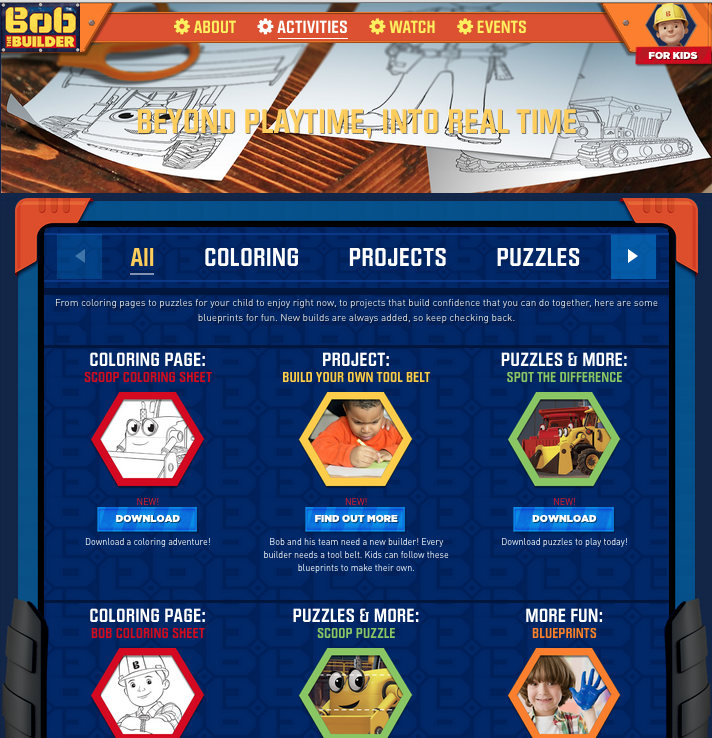 In anticipation of the relaunch of Bob the Builder on PBS, Mattel worked with FableVision to create an online hub that introduces the viewer – in Parents and Kids sections – to the newly designed characters, upcoming events, social media, games, activities, printables, and so much more. FableVision utilized the site modules to guide visitors to different sections, including a page that explains the show’s STEAM (Science, Technology, Entertainment, Arts, and Math) focus. This page reinforces the learning goals of the show. 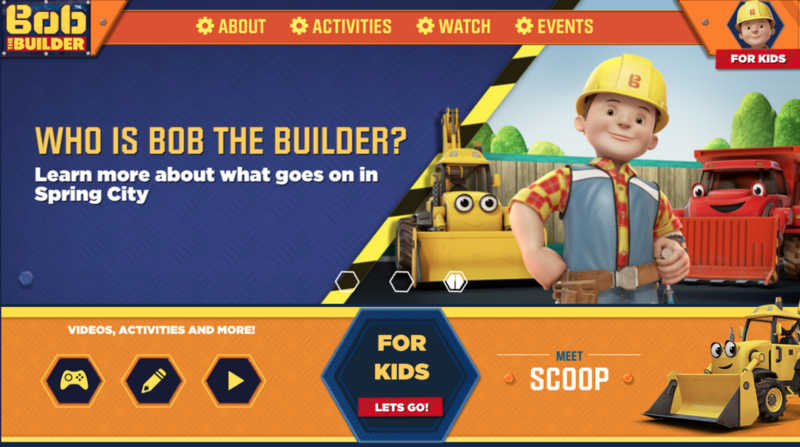 Working with the branding guidelines, established character design, and a parallax design built by Mattel, FableVision crafted the look-and-feel for Mattel’s Bob the Builder site.